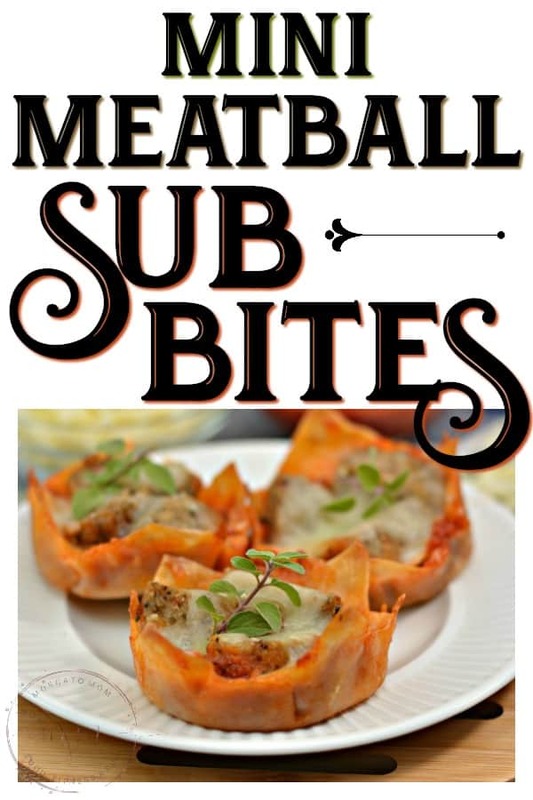 These Mini Meatball Sub Bites are the perfect meatball appetizer for your parties! 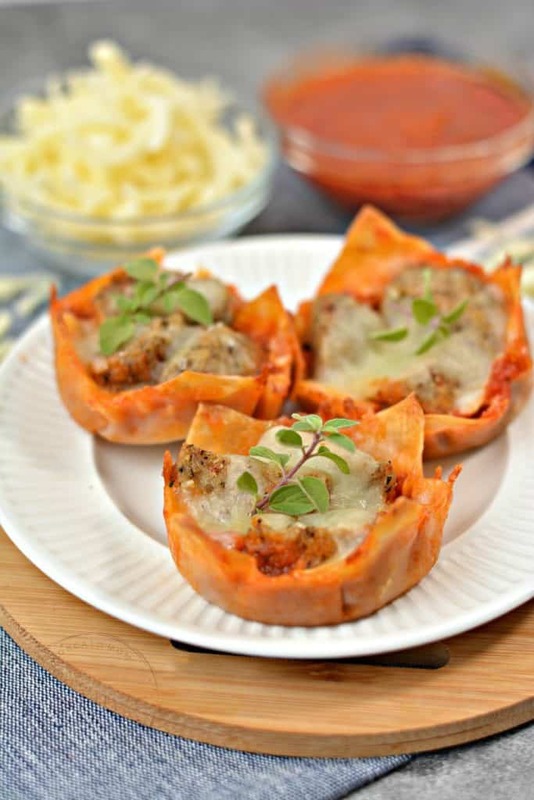 Easy and fast, these are always a crowd favorite! While we may still be pouting a bit about who is actually heading to the Super Bowl this year, we are getting excited about our upcoming party. Don’t let another bad call (see what I did there) put a damper on your Big Game Party festivities and serve lousy appetizers! 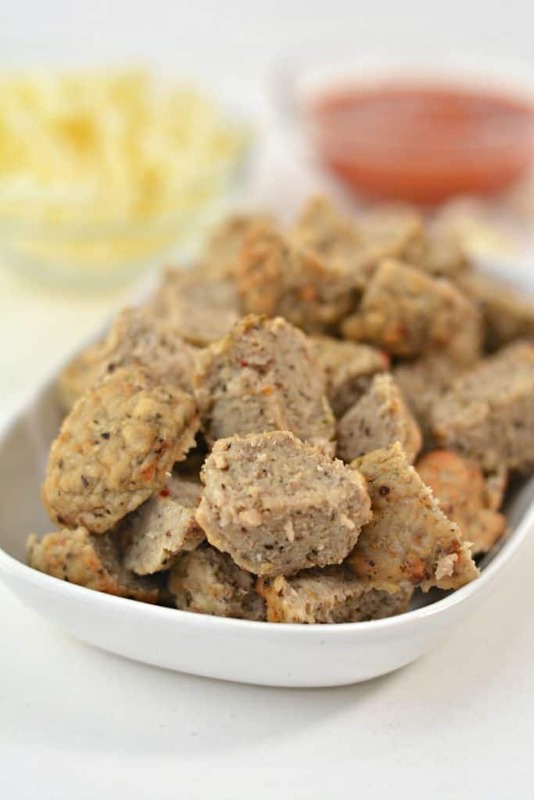 Besides how delicious they are, the best part about these Mini Meatball Sub Bites is how easy they are to make! 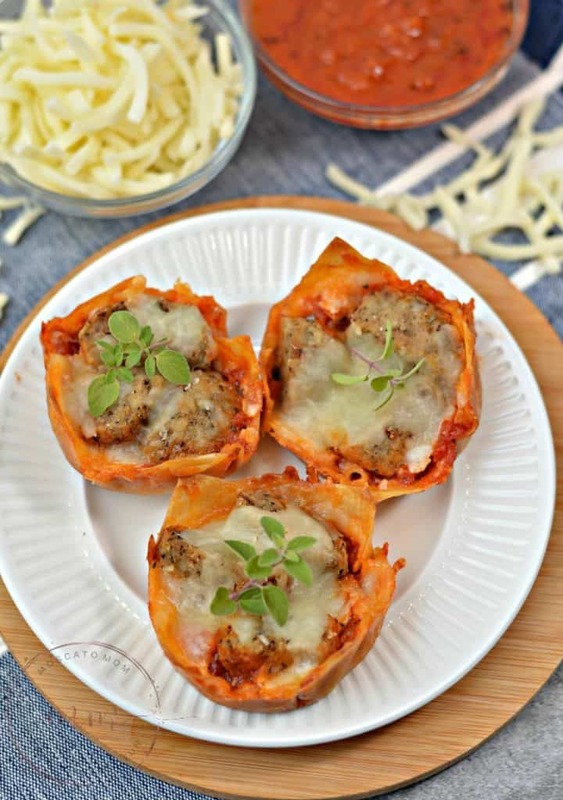 There are not many frozen meatball appetizer recipes that can even come close to how tasty these are! 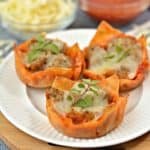 These Sub Bites kind of remind me of my Wonton Taco Cupcakes I made many years ago which were absolutely amazing! 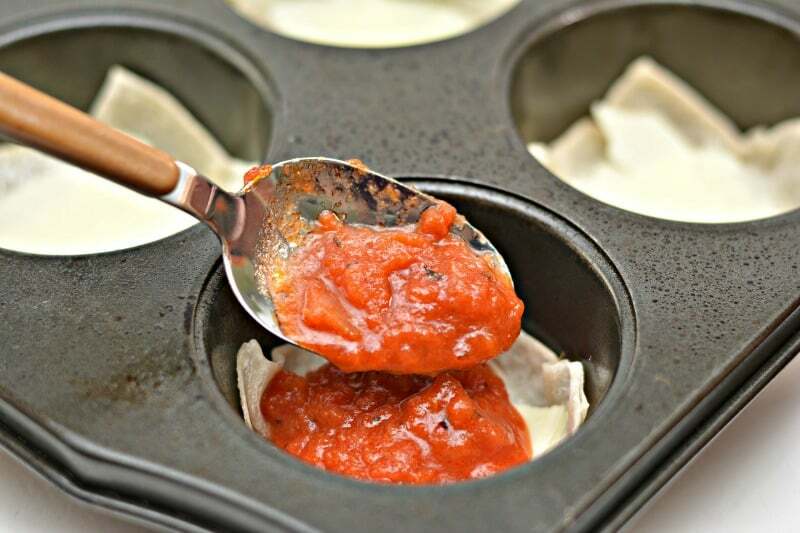 You can make this recipe lower in carbs by using my Low Carb Meatballs Recipe and this low carb marinara sauce. 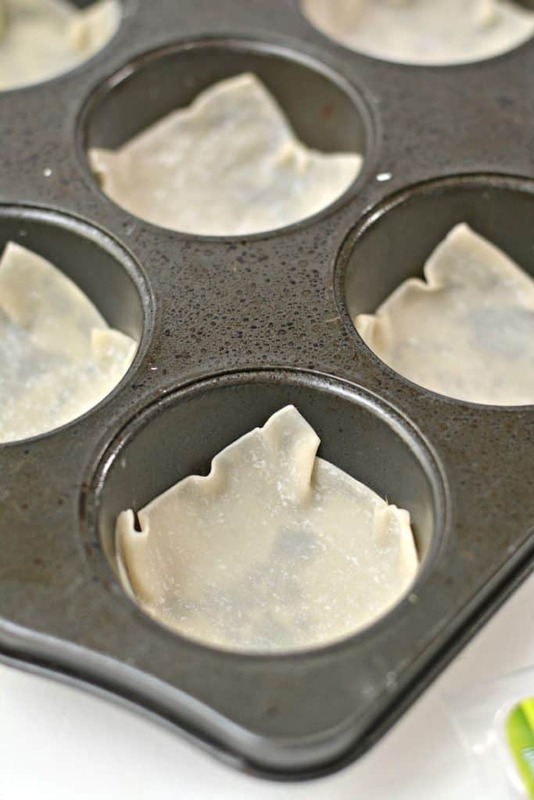 Place one wonton wrapper firmly down into each of the compartments in the muffin tin. Pre-bake the wonton wrappers for 5 minutes. Tear the pieces of provolone cheese in half. Place one half into the bottom of each wonton wrapper. 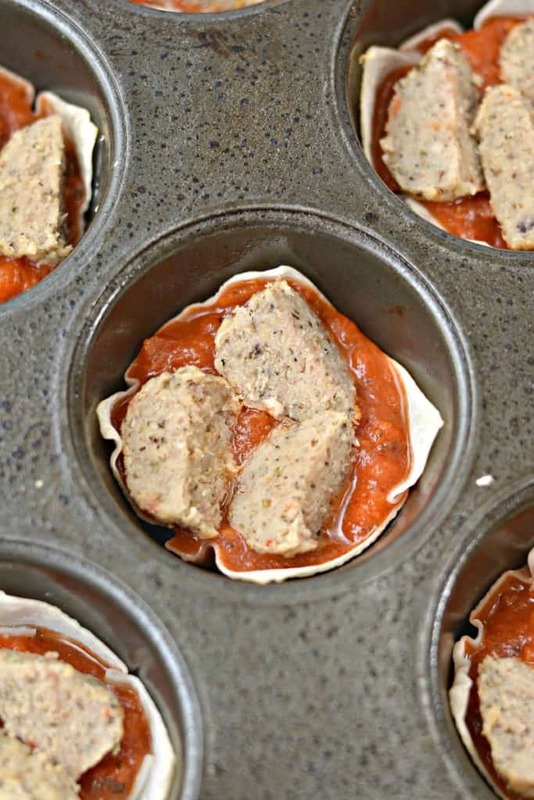 Cut the meatballs into fourths. 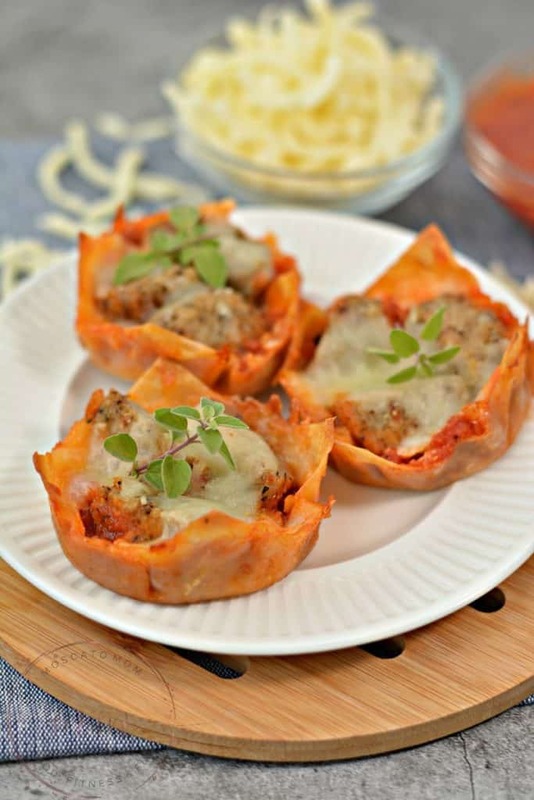 Place 1-2 tbsp of marinara sauce into each wonton wrapper cup. 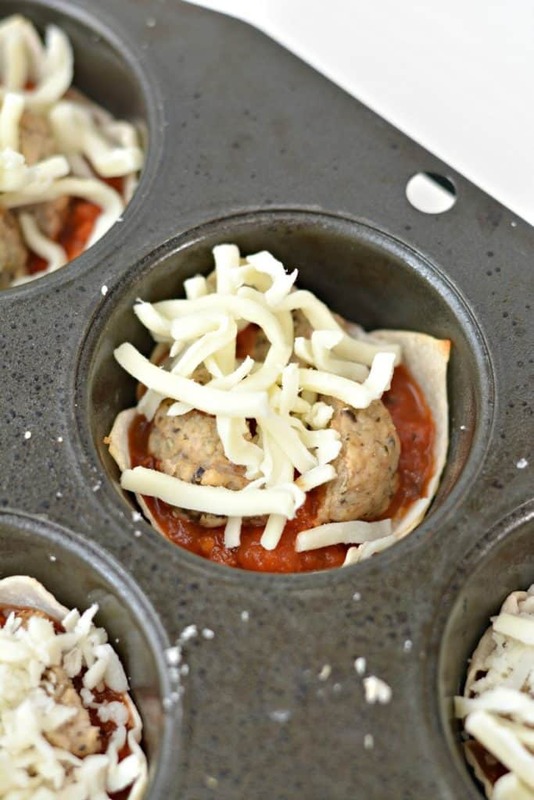 Put 3 pieces of meatball into each of the cups. 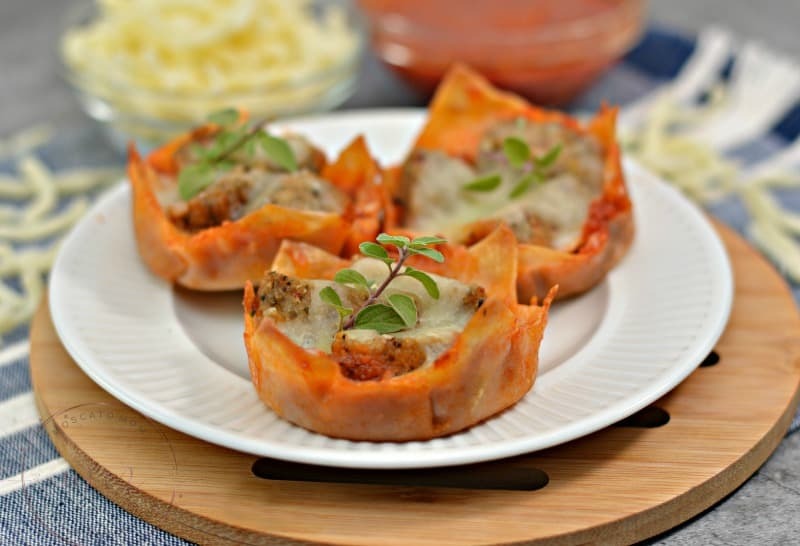 Top each wonton wrapper cup with a tbsp of mozzarella cheese. 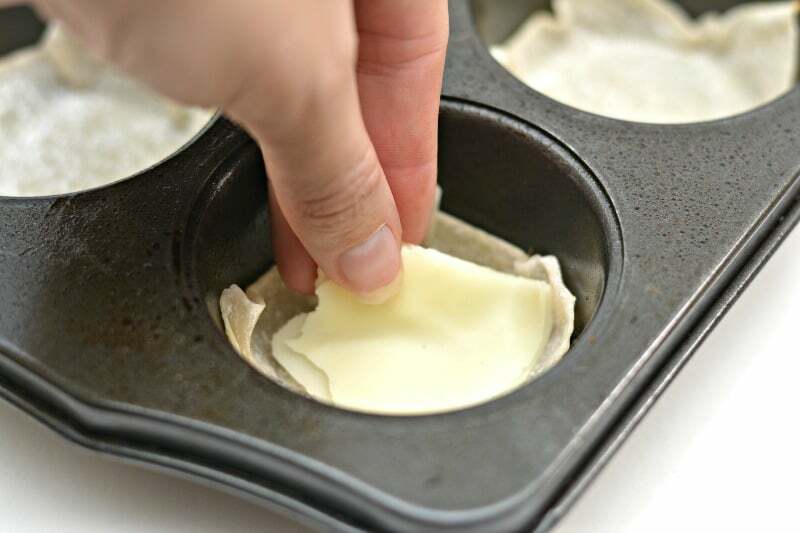 Bake for another 5-7 minutes until the cheese has melted and the wonton wrappers are crispy. Serve immediately with fresh herbs for garnish, or store in an airtight container. 10. Serve immediately with fresh herbs for garnish, or store in an airtight container.